My husband and I feel incredibly lucky to have had Allison’s guidance and support throughout the first months of our daughter’s life. 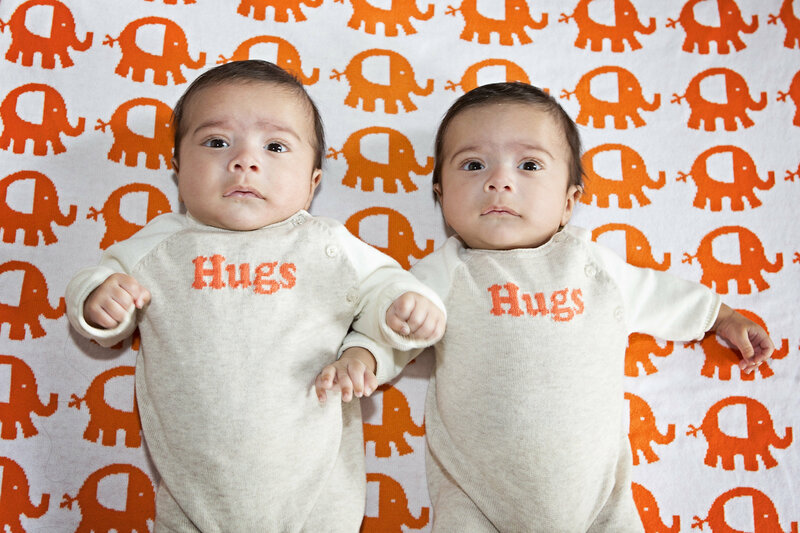 We had been dealing with reflux/colic for over 2 months and were emotionally, physically, and mentally exhausted. Before finding Allison we had been using another night nurse and were not happy with her lack of knowledge and our daughter’s inability to make any improvements in her sleep and eating habits during the night. (Not to mention all day crying as well) As soon as Allison began working with Kennedy we saw immediate improvement and progress. When Allison started our daughter was waking up twice during the night for feedings (not including many other night waking episodes) and by the time she left, she had her on a daily napping and feeding schedule and sleeping through the night! 7pm-7am! Her advice and training from previous experiences working with infants was truly invaluable. Having a baby has been the most challenging part of our lives thus far and at times has made us question if we are unfit parents, but with Allison’s support and guidance we began to feel more confident in caring for our baby. We are so sad that our time with Allison has come to an end, but we know she will always be there to answer any questions for us! Allison is a Life Saver and a true professional!! My experience with Allison has been exceptional. I have been so impressed with her knowledge and attentiveness. My daughter was not sleeping well at all starting at about two months and started a vicious cycle that I thought we would never get out of. I signed up for the text support package and stayed. Allison, listened to everything I had to say and made some very good suggestions to tweak her sleep schedule that worked wonders. She honestly helped me get my life back. Our firstborn son had colic, refl ux, and sleep issues and even with the advice from books and our pediatrician, we had a very difficult and sleepless first year with him. When I found out I was pregnant again, I knew I wanted to do things differently this time, especially since I already had one child and knew that I needed to be there for him as well. Allison’s information was given to me from a girlfriend of mine that utilized Allison’s services for their twin boys and she said it was the best thing they ever did, and I could not agree more. From the very first day with Allison, I felt completely comfortable and I knew our daughter was in good hands. Every time Allison was with us, I felt like a weight was lifted from me. Allison is like having a live baby reference staying with you. She is so knowledgeable and I learned so much from her even though this was my second child. Even though Allison was there to help with our daughter, I felt like she was there for our whole family. She helped out with my son when she could and she did whatever needed to help and support us without being asked. When we moved into our new home when my daughter was two months old, Allison even helped me unpack boxes when the kids were asleep! My daughter ended up having reflux and feeding issues as well, but with Allison’s support, we were able to figure it out early on. By the time Allison left us, our daughter was a happy baby, sleeping at least 11 hours at night and on a great schedule during the day (Something we could not have imaged at this point after the difficult first year we had with our son). Allison is truly passionate at what she does and we never felt like this was just a job for her. Even on the days she wasn’t with us, she would always touch base to check in on us and give support or advice. She has been a part of such a special time in our lives and I cannot imagine what we would have done without her! We highly recommend Allison, and if we decide to have another child, I would contact her the very day I found out I was pregnant! I came across the Newborn Care Specialist website while searching for nighttime help when I was pregnant with my daughter, Harper. Allison was extremely responsive and very professional throughout the booking process. While we did not meet in person prior to finalizing all of the details, I felt very confident from all of the positive testimonials and speaking with her via phone. Being in Winston-Salem, NC, Allison came to stay with us every Sunday night through Friday morning for nine weeks. We could not have made it through this time without Allison’s help! Allison worked with us to develop a schedule for Harper’s daytime and bedtime routines, feedings and more. She cared for Harper from her bedtime routine, through the night until her morning bottle, and was always ready to offer a helping hand when I was experiencing any trouble during the day. While I had planned to breastfeed, I was unable to do so and luckily Allison was there to help guide me through using the pump, storing milk, and making bottles with the right amount to give for each feeding. Whenever it seemed as though Harper was having an off day or night, Allison knew just the trick to get her back on track. This proved extremely helpful with getting her daytime naps down! It is because of Allison’s knowledge, love for her job and our baby that Harper is now 10 weeks old and going over 11 hours between her bedtime and next feeding and sleeping over 10 hours with nearly uninterrupted sleep. Family, friends and even our doctors are amazed at the progress Harper has made from day one. We were so sad for our time with Allison to end, not only because it meant navigating the waters of parenthood on our own, but also because she had become such a special part of our lives. Allison has truly become a friend and a member of our family. I’m amazed at how she may move on to the next family but continues to care about the progress and wellbeing of Harper. I know that she will be there for any questions or concerns that we may have along the way and for that I am extremely grateful! 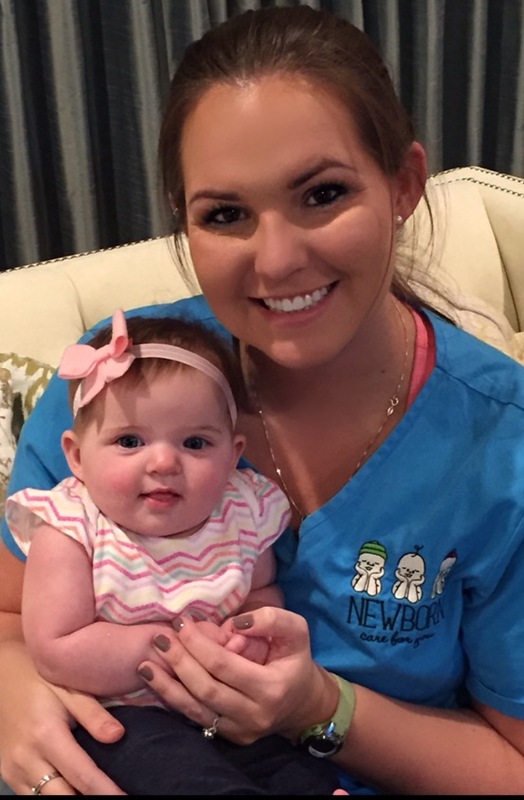 Allison Rabon is an amazing newborn care specialist. I stumbled upon her on care.com and I was so glad I did. Juliet was waking up multiple times a night and demand feeding throughout the day. Allison came and provided a structured schedule which was so very freeing. She was so wonderful with Juliet and provided excellent advice, so I could get more sleep. I was breast feeding throughout the night, which I know is different than what a lot of moms who sleep train do, but she was more than willing to make the schedule work for our situation. What I really used a lot was the text support. Juliet will occasionally get off schedule due to travel, teething, or illness and I often will use the text support with Allison to get her back on track. It was also great to have someone who cared as deeply as she does about your child’s sleeping patterns. Juliet is now almost 10 months old and I continue to use the text support as needed and it has always been well worth it. I feel so lucky to have known Allison. Our daughter, Olivia, arrived three weeks early. When she was 3 weeks old, we were exhausted. Since we do not have family locally, we were referred to Allison by a friend. Luckily Allison had some availability and was able to assist us for a few weeks in our home. Olivia was falling asleep during feedings which caused her to have some issues gaining weight. With Allison’s guidance, we got her on track and supplemented with bottles to know exactly how much she was getting. We felt very comfortable with Allison and having her in our home. Knowing that she was taking care of our little girl during the night allowed us to catch up on some much needed sleep and feel a little refreshed. 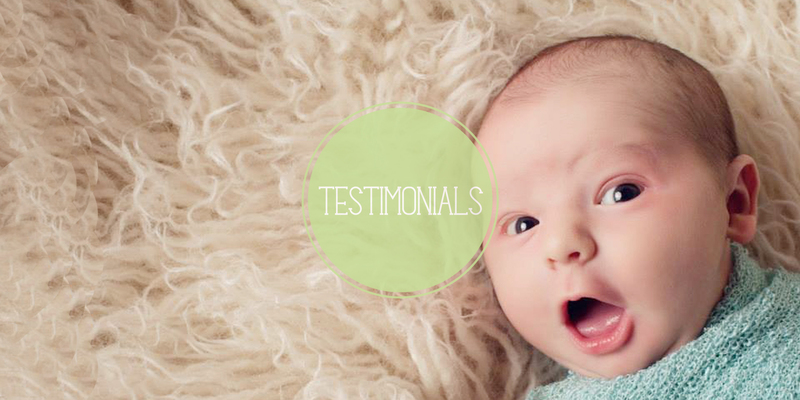 I had some struggles with breast feeding and Allison’s knowledge and tips were very helpful in getting through them. Even though we couldn’t work much on the sleeping training while Allison was staying with us due to the feeding schedule we had to follow, she was still able to provide us with direction. Olivia just turned 3 months and she is sleeping through the night! We are so thankful that we were introduced to Allison! She has continued to provide guidance and instructions on feeding, sleeping, schedules, etc. As a first time mother, you read all the “how to” books and begin to mentally prepare yourself for the most important job you will ever have. Then your little gift from God makes their big debut and you realize that while all those books did offer some good guidance, they can not answer situational questions. Those books can’t guide you and offer support, while encouraging you and celebrating your mommy victories. This is why the first and best investment you should make not just for your baby but for yourself is Allison! Having Allison available to answer your questions, guide you through your new journey, and help build your confidence as a mother is something you can’t put a price tag on. I feel confident and proud as a mom and I can assure you that wouldn’t be the case if I didn’t have Allison. She guided me through breast feeding, bottle feeding, night time routines, growth spurts, doctor’s visits, vaccinations, handling baby acid reflux, guiding baby to become an independent sleeper, and even your list of what to register for before baby comes. Not to mention she did ALL of this for me over the phone! I have a happy 9 week old baby boy that sleeps 9 hours a night. I didn’t have a child that came out of the womb ready to sleep through the night. I used Allison’s methods and guidance to work for those glorious nine hours! The best part of it all, is that she truly cares for my son and our growth. Allison is one of the most kind hearted, genuine, and caring people I have encountered. She truly loves children and loves what she does. She celebrates your mommy milestones and encourages you when times are hard. I can promise you she is an investment you will never regret. My husband and I were referred to Allison from our first night nanny who was a previous doctor and had been sleep training babies for 10+ years since her retirement. Her recommendation was not taken lightly and upon meeting Allison, we quickly understood why. Allison was younger than we had expected but her knowledge, comfort with children and professionalism put us right at ease. 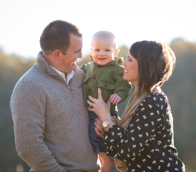 Having our second son when our first was only 15 months old was daunting. However, Allison stepped right in and quickly became a member of our family. Not only did she bring experience and wisdom with her but she became a friend that we could pass back ideas with and trouble shoot problems. Having that type of support was invaluable. After twelve weeks, our son was sleeping 7pm to 7am. We continue to find ways to keep Allison in our families lives, including, her watching our two sons this past weekend on our first adult getaway! She watched our 6 month old and 22 month old for three days and three nights. To leave your children for a full weekend and not have any worry that they are in capable, loving hands is a dream for any parent. We cannot recommend Allison highly enough. Allison’s guidance and advice during the last months of my pregnancy and the first few months of my son’s life was invaluable. We went through the tragic loss of my Dad when Jake was 2 weeks old and I was exhausted physically and emotionally because of it. 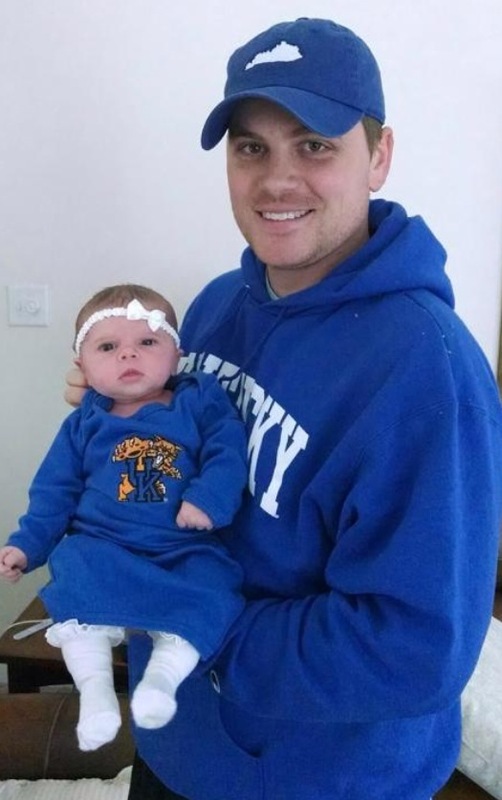 With the Newborn Care Specialist Support Package, we received weekly instructions for care for Jake and he was sleeping through the night by a month old. I honestly don’t know what I would have done without her help and guidance in those life-changing times. Jake continues to sleep through the night and we are forever-grateful parents! I enlisted the help of Allison when my second child was born. With a busy toddler and a newborn baby, I knew it was important to get some sleep so I could be functional during the day. Not only did Allison provide an opportunity for me to catch up on sleep, but she has also been instrumental in getting my daughter on a great day and night schedule. In fact, we just had our first nine-hour stretch between feedings at 11 weeks – something that I didn’t expect for many more months! From the moment I reached out to her, she has been nothing but professional and has shown a real interest in the development of my daughter. She checks in on a dailybasis to see how naps and night sleep have been going, and is always providing goals and suggestions for ways to improve sleep. It is evident that she truly cares about the babies that she helps take care of! I would highly recommend her to any new mom! Our son, Charlie, was born September 2013. 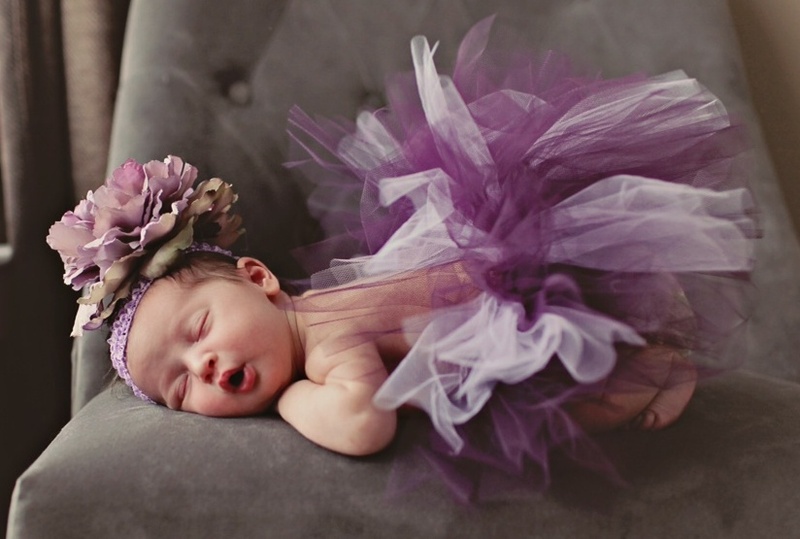 As first time parents, we were exhausted and clueless! About 7 weeks into sleepless nights and no idea how to make it better, we found Allison on care.com. We took and gamble and it paid off big! SHE IS THE BEST!!! 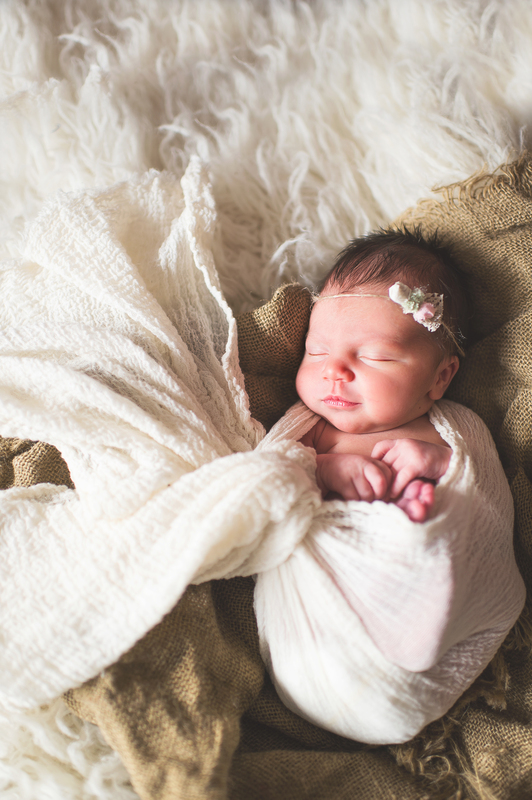 She helped us figure out how to navigate through that crazy newborn stage and find some time for all of us to rest in the process! I wanted to make sure I could nurse Charlie as long as possible – she was very supportive of that and once he weaned himself from night feedings, he has slept 12 hours every single night since. We followed Allison’s instructions and haven’t looked back since! She was always on time, courteous, professional and still a part of our lives. If we are ever brave enough to go for a second, we will call her the minute we find out! I recommend Allison to anyone and everyone looking for a newborn specialist. She is a wonderful, caring person and we are blessed to have her in our lives. We called Allison as we needed help putting our daughter on a sleep schedule. She was sleeping at night but she did not sleep AT ALL during the day and would just cry all the time. We were at our wits end and did not know what to do. In came Allison. She immediately calmed things down. She put our daughter on a schedule and got her to take scheduled naps throughout the day. She knew how to get her to nap and more importantly she taught us how to do it using feeding and sleep techniques we never would have known. She has a very calming way about her not only with babies but with parents as well. She gave us the confidence that when she left we would be able to do what she taught us. She is very good about writing up a schedule you can follow and giving you very good tips that help you get your baby to sleep. She is also there for you 100% by phone and email once you start working with her – she answers all of your questions and “holds your hand” until you have your baby sleeping. We recommend Allison one hundred percent – our baby is now almost one and is on the same type of schedule Allison taught us to use — she naps twice a day and sleeps 12 hours a night. We would not trade that for anything! I am writing to provide my highest recommendation of Allison Rabon’s work. We hired Allison to live with us for the first three months after the birth of my first son in June 2013. We live in rural Ohio and don’t have any family living near us, and as first time (clueless) parents, we were planning on being extremely dependent on Allison for her help and expertise. Allison did not disappoint. She had arranged her schedule so that she could be there for me the day we came home from the hospital in the event I gave birth early. She arrived early and she jumped right in to help. Allison knew exactly what needed to be done for a baby with jaundice and set his feeding schedule up accordingly. Because I had had a c-section, I wasn’t allowed to drive or lift anything heavier than the baby for the first two weeks so Allison took both me and my baby to our follow up doctors’ appointments. And she knows everything about a newborn! Allison was able to pack the diaper bag with everything we would need, she knew and taught us how to properly position the baby in the car seat, different swaddling techniques, how to bathe the baby both before and after his umbilical cord stump fell off, she knows how much a baby needs to eat and when, she knows how to deal with acid reflux, she knows a number of soothing techniques to calm a baby, etc, etc. I also had a hard time breastfeeding at first and she gave me invaluable assistance with that too. If I had a question Allison couldn’t answer, she researched it and figured it out. She takes complete ownership of her job and is extremely reliable and responsible. Allison also slept trained our baby. When she left our place at the end of 3.5 months (we kept her on longer than originally contracted), our son was sleeping from roughly 8 pm to 6:30 am comfortably. I can tell you that none of my friends have had such good fortune with their own babies, and I owe all this success to Allison. Allison was a life saver for me and my family. It was very difficult to find a dependable care taker for our twins at night but I feel so lucky that I was able to find Allison. Not only was she a wonderful, caring NSC for our babies but she was so knowledgeable about babies and especially twins! From the first time I spoke to her on the phone and even to this day she is always available to answer all my baby questions and always has the best advice. She has experience with twins which is so hard to find and she never seems overwhelmed when there are two babies crying. She helped me set a sleep routine, day time and night time schedule and helped my underweight babies catch up to a healthy weight. As a physician I appreciate her scientific methods to sleep training and feeding and she impressively can provide you with research papers to back up her excellent advise. It was so nice how she would always call or text to check up on the babies the nights she was off, which I found to be so touching! I felt comfortable with her being in our house at night and caring for our children and the first night she came was the first night I finally got some solid sleep. I highly recommend Allison it was such a pleasure working with her! If you are a first time mom or a repeat mommy, you need to hire Allison at Newborn Care for You. I am a first time mother of beautiful twin girls. When we all came home from the hospital, I thought I can do this. No problem. Women have been taking care of babies for centuries. And as my girls were preemies, 3 and 4 lbs each, how much trouble could they be? By day 3 and very little sleep, my husband found me crying in the family room. I was overwhelmed. Luckily a friend referred us to Allison. My husband called her and she was on her way. Now I was skeptical in the beginning. These were my babies and Allison didn’t know them or us. Within minutes of her arrival, Allison was holding the babies, getting to know them and us, and teaching me how to be a better mom. Allison has been with us for 4 months now. She stays with us 5 days a week and has become part of our family. We love her and more importantly our girls love her. Under Allison’s guidance, my girls now weigh 13 lbs each. 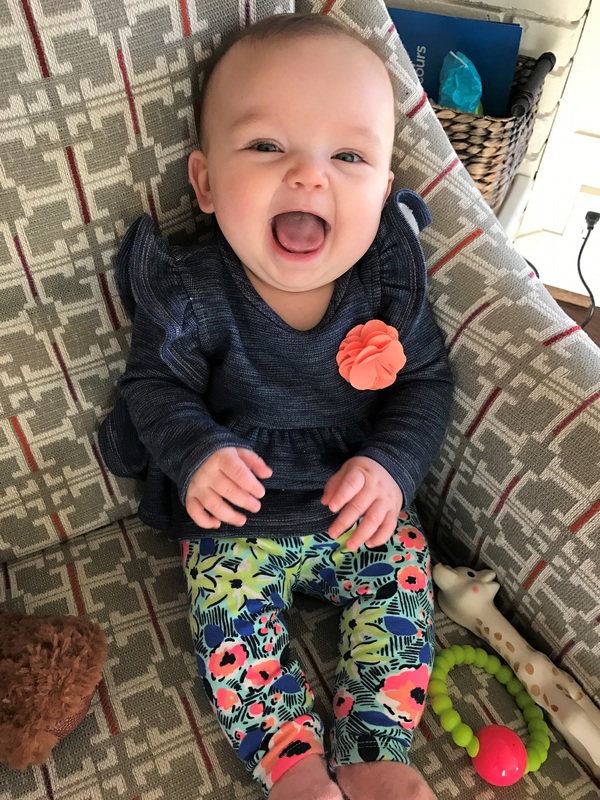 My husband and I have literally offered Allison my entire salary if she will stay with us, but Allison says that there are more babies out there for her to help. 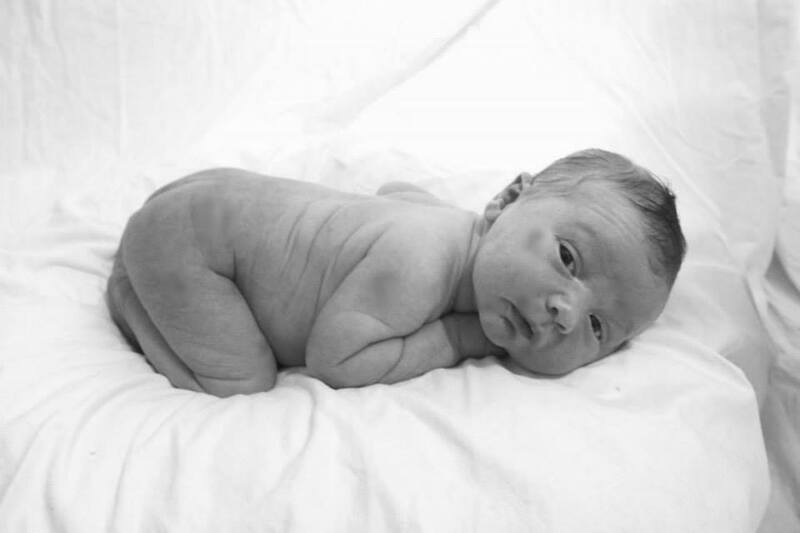 So, if you are thinking about getting support for your little one (s), I urge you to talk with Allison at Newborn Care for You as soon as possible. She books up quickly. I know because she is getting calls from exhausted moms like I used to be all the time. I know if you hire her, you will be as pleased as we are with her support and as sad as we are when it’s time for her to move on to helping the next frazzled family.have done it without her. I must admit, as a new father, the prospect of hiring someone to train your infant to sleep seemed outrageous and if you are checking this review I’m guessing you are in the same boat. The welcoming of our little bundle of joy brought some very abrupt and drastic lifestyle changes that, despite our preparations, were more taxing than expected. 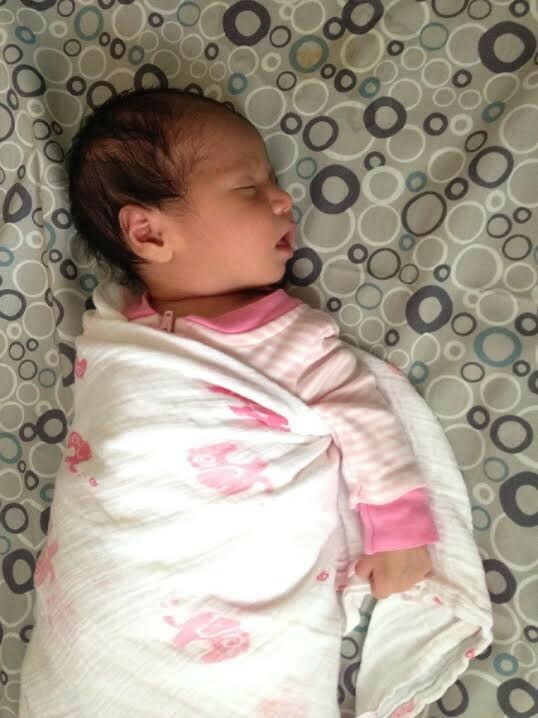 Our little girl was as perfect as could be with one exception … she wouldn’t sleep unless she was being held. This started from the first night in the hospital where her mother and I tried to take turns staying up to hold her while she slept. The first few nights at the hospital were hard but manageable. We were tired but we were finally going home to rest and recover and welcome her to her new home. Unfortunately, she didn’t get the memo on the resting part. Her requirement to be held while sleeping continued for about three weeks. This is when Allie came to our rescue. From the moment she met our little girl, she was a different baby. At the time I swore it was some kind of magic or witchcraft that made it so easy for her calm her down and get her to sleep. That was probably just the sleep deprivation talking. As a now well rested and sane human being I can assure you that it is actually from her extensive knowledge, training and experience with these little bundles of joy. If you are like we were, you are undoubtedly receiving truckloads of well-meaning but unsolicited baby advice from everyone you encounter. Everyone has a technique or book that worked for them and it’s a lot to digest. Allie will probably tell you some things that seem strange and possibly contrary to the baby books that you read (or were supposed to read). Just trust her and get out of the way. She has read all the baby books you have and many more. She knows the good, the bad, and the stuff that actually works. It takes some time, but following her methods completely transformed our daughter’s roller coaster sleep habits into a very predictable and stable sleep schedule. I can’t recommend Allie’s value highly enough. She’s professional, dedicated, caring and most importantly, knows what she is doing. Take it from a skeptic … if you value your sleep and sanity, hiring Allie is the best decision you can make. 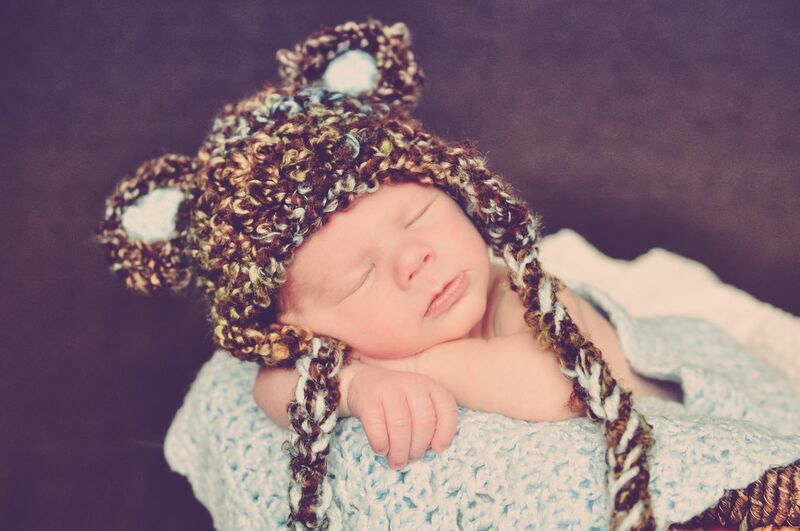 I recently reached out to Allison with Newborn Care for You for a consultation for my second son. He had been having issues with his feedings and wasn’t sleeping well. With the help of Allison, I have been able to increase his daily calorie intake and have gotten him on a much better schedule during the day resulting in lots of much needed rest for him and me. Not to mention, a much happier baby! We are now currently working on sleep training with him, and I know that with Allison’s help, he will be sleeping longer intervals at night in no time! Allison has such a sweet spirit about her, and she truly wants to see my baby thrive and do well. She checks on him daily to see how he is doing! We are very thankful for her help, and would recommend her services to any new Mom out there, whether it be your 1st baby or your 5th! Recently, I was having difficulty getting my son to sleep for more than 2 hours at a time. I decided that what I was doing was not working so I enlisted the help of Newborn Care for You. 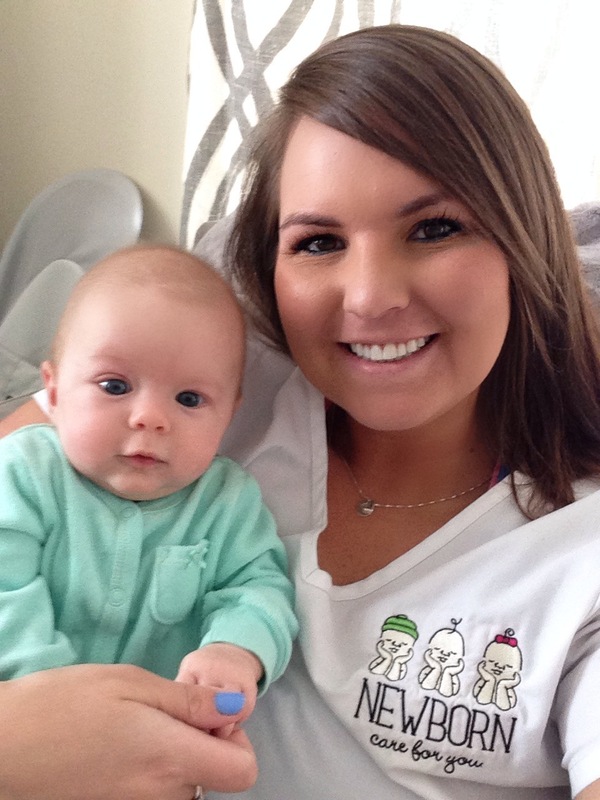 Allison’s knowledge of sleep training, feeding, and routines has been invaluable! She worked with my son and me to help get him on a bedtime routine, as well as helped me figure out a feeding schedule that would help sustain him throughout the night. My son is three months old now and is sleeping completely through the night! Her love of children and families is evident and I would recommend her services to any new mom out there! 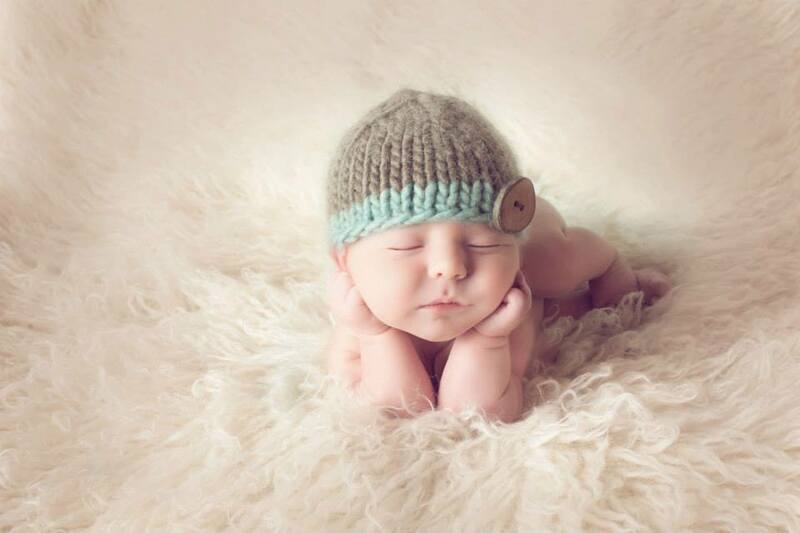 My husband and I used the services of Newborn Care for You for a consultation after our son was born. We had issues with nap times and getting him on a schedule during the day. Allison shared her abundant knowledge of sleep training and infant schedules with us and within 24 hours we noticed a difference! She worked with my husband, my new son and me to help us understand the importance of the right nap and feeding schedule. With her help we were able to make a schedule that worked with our lives. Our 2 month old already sleeps 8 straight hours at night and no longer fights naps! We credit this all to Allison’s help! 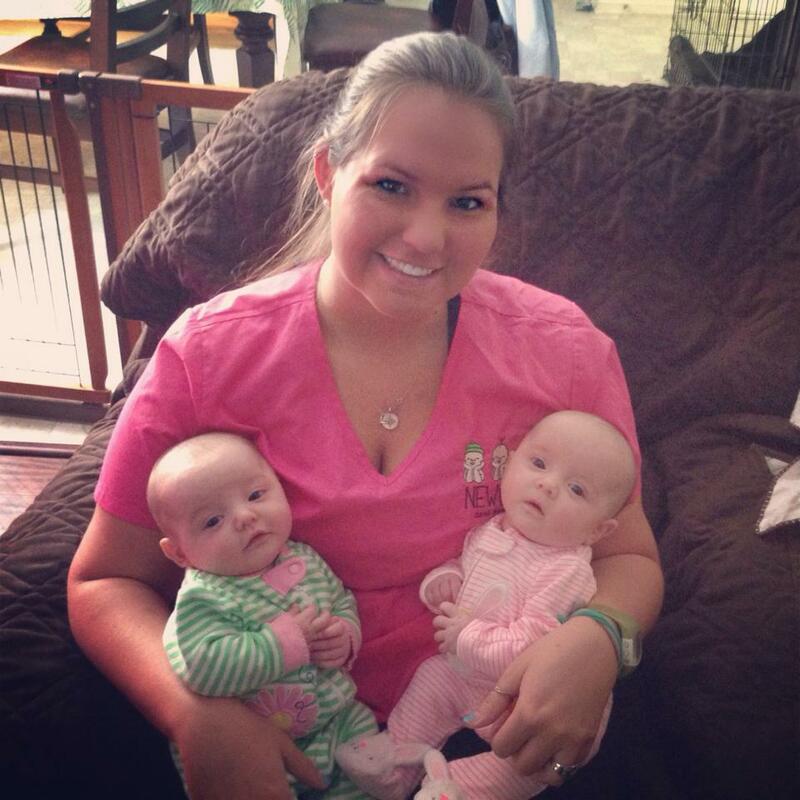 Allison is very knowledgeable, and you can see the love she has for the babies and families she works for. She is an amazing support for the entire family as a unit instead of only the baby as an individual. I would recommend her to any family needing help! I recently reached out to Allison to help with my 2 month old sons sleeping habits. I’m a first time mommy, full time student, part time waitress and in desperate need of sleep! My son has acid reflux and would only sleep for 4-5 hours at a time. After making just a few simple adjustments to his day time sleeping and eating, my son has been sleeping from 7:30 pm to 5:45 am after just a few days on his new schedule! Allison is full of so many wonderful techniques and genuinely cares for each child she helps. She contacts me every day to check on my son and see how he’s progressing with his sleeping habits. She also makes herself available for the little questions of a first time mommy as well. I would recommend her services to anyone because she has the knowledge, experience, and love for children that any parent would need to help with their newborn. 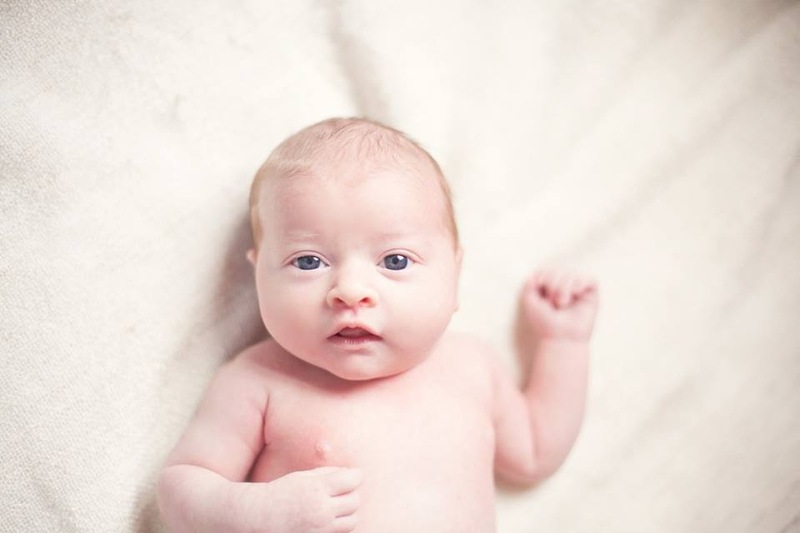 I recently leveraged the services of Newborn Care for You and Allison. My story was that I was becoming a second time mom and wanted to have a second set of hands to help transition through the sleepless nights so I could feel functional with my other child who was a toddler during the day. Even as a second time mom, I was going through jitters and waking at every little sound in the night. By knowing that I had a set of trusting eyes watching over our little more, it allowed me the comfort to get a restful night sleep. The sleep training concept was also a benefit. Our little girl was sleeping 7-8 hours around 6 weeks of age and by 12 weeks was sleeping through the night. Allison gave me the tools and tips to help on the nights when she wasn’t here, and I found her to be a valuable resource when I had a baby question. I highly recommend this service if you are trying it with a second or third or whatever number child in addition to it being your first. To be honest, I would have done this in a heartbeat with my first child if I knew that these types of services existed at the time. I received Allison’s name through a friend after searching for much needed support due our second child having colic and reflux. Though Allison was booked at the time, she offered to come to our home for a consultation. Allison did a fantastic job assessing our daughter’s needs. She provided several sleeping options for our daughter based on her reflux and created a thorough schedule of feeding and sleeping. As weeks passed by, our daughter became increasingly difficult to settle and more uncomfortable. Each time I had a question, Allison was available for immediate consultation and support through phone, email and text. While she wasn’t available to sit with our daughter at night, her guidance helped me get through the sleepless nights. 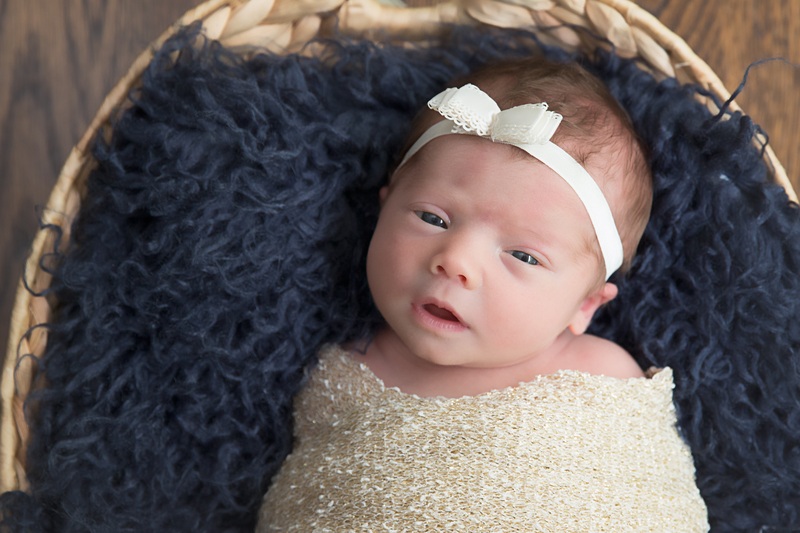 Allison is extremely knowledgeable of the proper care of newborns from basic feeding and sleeping schedules to more complex issues such as reflux. Allison’s support and guidance through a very rough time was such a life saver. Her service is worth every penny and I would definitely pay more to have experienced support only a phone call away. If you are thinking about night help, call her well in advance because she books up fast.